Justice League Movie Cast Revealed by Warner Bros.
Warner Bros. Pictures has revealed the full Justice League movie cast! 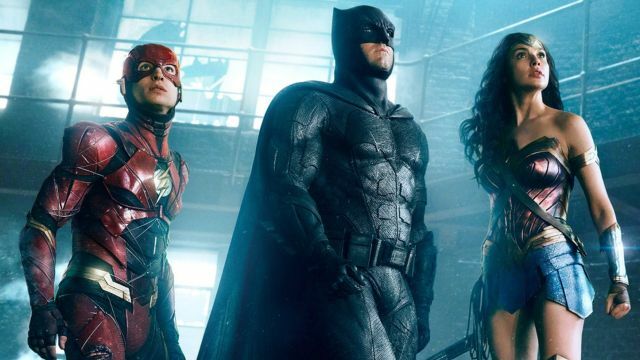 The line-up includes Ben Affleck as Batman, Henry Cavill as Superman, Amy Adams as Lois Lane, Gal Gadot as Wonder Woman, Jason Momoa as Aquaman, Ezra Miller as The Flash, Ray Fisher as Cyborg, Willem Dafoe as Nuidis Vulko, Jesse Eisenberg as Lex Luthor, Jeremy Irons as Alfred Pennyworth, Diane Lane as Martha Kent, Connie Nielsen as Queen Hippolyta, and J.K. Simmons as Commissioner Gordon. While not in the official Justice League movie cast list just released by the studio, it is expected that Ciarán Hinds will play Steppenwolf, Amber Heard will appear as Mera, and Kiersey Clemons will appear as Iris West.